At approximately 1 a.m. on April 5, a high-speed chase resulted in a two car crash on the 520 Bridge in Seattle, according to news reports at the Seattle Times. One person is in custody after being arrested on charges of DUI with assault; that individual is also likely to face charges of eluding police, according to the report. Washington State Trooper Chris Webb said that the person who was arrested was driving his BMW at speeds of up to 100 miles per hour in an effort to flee from police. The BMW eventually crashed into another car, with both vehicles being totaled. The crash occurred in the eastbound lanes of the 520 Bridge, causing those lanes to be closed for several hours. Reports claim the driver of the BMW and an occupant of the vehicle that was struck during the chase sustained minor injuries, and were treated at Harborview Medical Center. 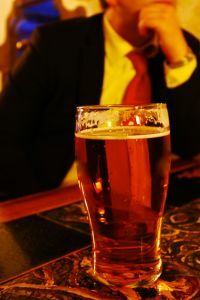 Michigan DUI attorneys know that frequently, those who have been drinking cannot think clearly. When a police officer approaches someone’s vehicle who has consumed alcohol, that person’s first instinct is often to flee – particularly if he/she is fairly intoxicated. As is evidenced in this story, the result of fleeing at high speed can be catastrophic. While no one was seriously injured in the crash, the result could have been far worse. The driver may have been charged with DUI causing death or manslaughter, which would have resulted in extremely harsh penalties had he/she been convicted. Any DUI charge is serious, as driving under the influence of alcohol is a criminal offense with lasting repercussions. Those who are found guilty of a first DUI may face jail time, fines, driver’s license suspension, a permanent criminal record, community service, and more. Employers are hesitant to hire individuals who have a criminal record, so even a simple DUI may impact current or future employment. If you or someone you know has been arrested for driving under the influence of alcohol or drugs, consult with an experienced and skilled defense lawyer immediately. It is important to take action in the early stages, as in some cases it may be possible to have charges dismissed or reduced. Never answer police questions without first consulting with an attorney.